It’s the most wonderful time of the year – allegedly. 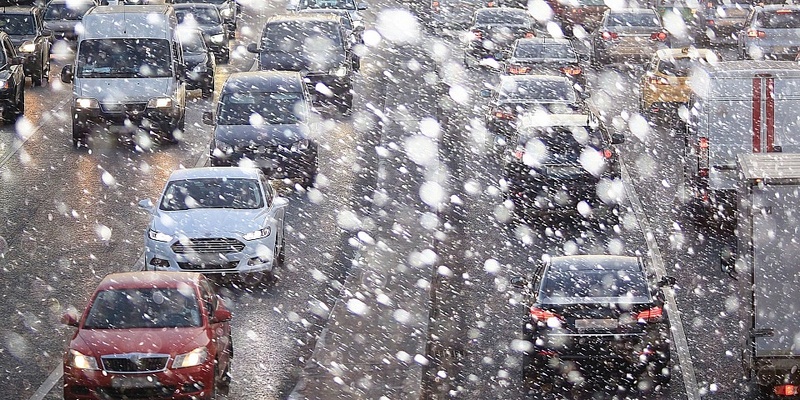 While most of us are getting well into the Christmas spirit, those who have the responsibility of getting their family to the festivities probably also have one eye on the traditional traffic chaos that’s far more likely to descend onto the roads than snow. Without a doubt, an easy-to-use sat nav with live traffic data would ease the burden of the journey: guiding you around jams and giving simple to follow instructions, all while needing minimal setup or input from yourself. If you’ve already got an older dedicated device or manufacturer built-in model, it might not have a live data connection and therefore won’t be able to show you the monumental traffic you’re about to drive into. Upgrading to a new all-singing, all-dancing sat nav can be a significant investment, particularly if you’re not going to be using it regularly. 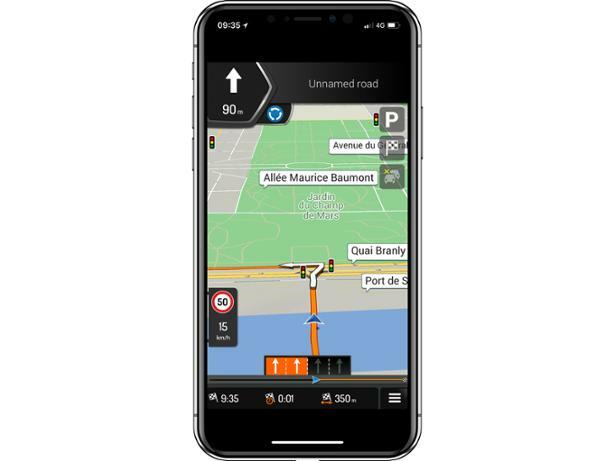 Thankfully, there are a number of free-to-download sat nav apps that offer live traffic data and maps that you won’t need to make sure are up to date. Here’s our pick of the free apps that proved particularly easy to use in our extensive tests. 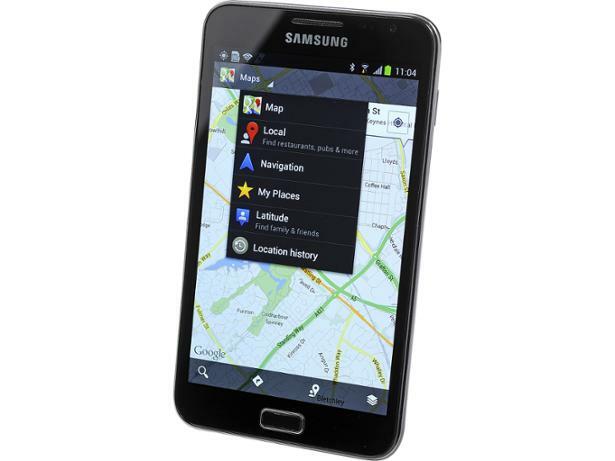 Best Buy sat navs – check out the sat nav apps and devices that have excelled in our tests. Make sure you have sufficient monthly data on your phone’s contract. Our reviews highlight apps that are particularly heavy on both data and battery use. Google Maps has long been a go-to navigation app for Android users (not least as it’s normally included on most models), and it’s now also available on the iOS platform. Unlike some ‘freemium’ apps, which require a subscription after a free trial period, Google Maps remains completely free to use. It offers up-to-date global mapping with real-time traffic data, all presented with a simple, functional interface. For our in-depth verdict on this app, read our full expert reviews for either iGoogle Maps for iOS or AGoogle MAps for Android. If not getting stuck in a tailback is your greatest concern on your Christmas travels, you may want to consider Waze. It’s available for both Android and iOS smartphones. 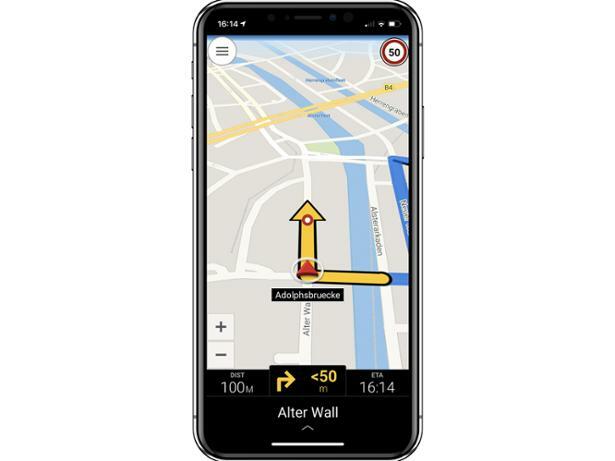 Utilising crowd-sourced traffic data from the movements of other Waze users, the app is able to provide accurate real-time traffic information. It updates frequently and can quickly calculate a faster route. It’s not perfect – audio instructions could be better timed, particularly on complicated junctions. The map is easy to read, though, and programming it to guide you to a particular destination is easy. This is backed up by a live search function, so you can accurately search for a place name, should you not know the full address. 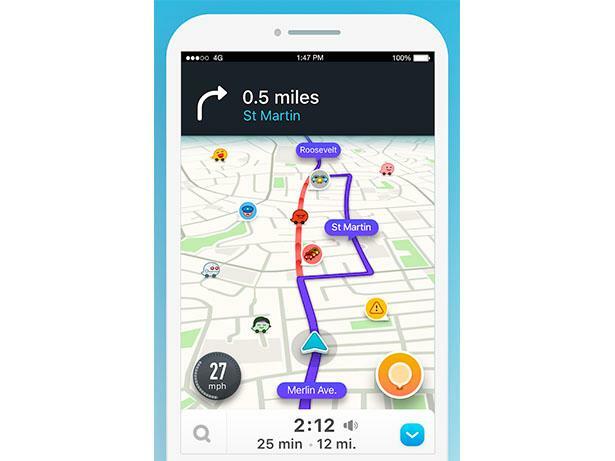 Head to our full review of either for Waze for Android or Waze for iOS, to discover if it’s suitable for your needs. The CoPilot app is what’s known as a ‘freemium’ download. This means premium features are offered for free for an initial period (in this case, seven days after installation), before a subscription payment is required. Even if you’re downloading it for minimal use over the holidays, you may well find yourself tempted to pay for the app’s clear instructions, free traffic data and clear map graphics once the trial period has expired. Find out if the apps for CoPilot for Android and CoPilot for iOS have what it takes to earn a Best Buy rating. The iGO Navigation app is another freemium offering, allowing you seven day’s free use. After that, you need to pay up to access the map (currently £25 for Europe). Unlike some apps, however, you can select which country’s maps you’d like to download so you aren’t wasting precious storage space on your phone with maps you’ll never use. With an intuitive menu structure, live search, and easy-to-follow instructions, iGO Navigation could prove a big stress reliever on the big drive to see the in-laws. Find out how NNG Software – iGO Navigation scored in our lab tests. See our iGo Navigation Android and iGo Navigation iOS reviews. If, rather than using your phone, you prefer the larger screen and dedicated speaker of a portable sat nav device, you needn’t break the bank to ensure stress-free driving this Christmas. 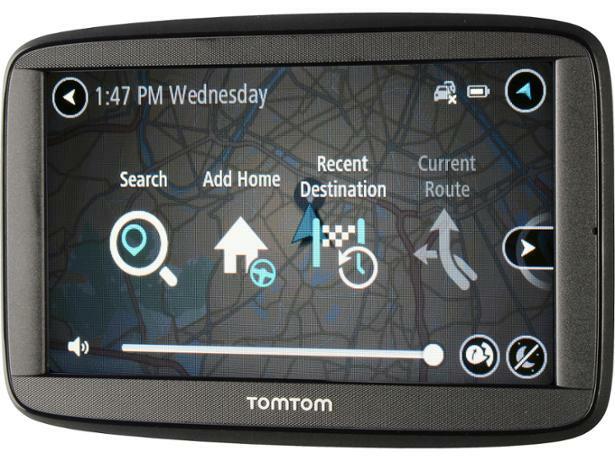 The £89.99 Via 52, from industry heavyweights TomTom, offers everything a casual user could want from a sat nav. This includes lifetime (of the device) map updates, and live traffic monitoring via a paired smartphone. You also get European mapping, a database of speed camera locations, and you can tailor the route to avoid toll roads. The Via 52 will route your phone calls through the on-board speaker for hands-free calling – particularly useful if you’ve got an older car without this function. Find out how this portable sat nav fared in our comprehensive lab assessment. See our expert TomTom Via 52 review.